(update) If you like video tutorials, Ripple Training has just released my “What’s New in DaVinci Resolve 12” title, in which over the course of five hours I provide an in-depth look at nearly every new feature found in DaVinci Resolve 12. If you hate reading, this is the next best thing to all the chapters I’m about to recommend in the updated user manual. It’s no secret that I work with the Resolve design team at DaVinci, and also write the User Manual. Given the massive collection of features in this year’s release, the accompanying User Manual update was similarly enormous, and now that the manual has cracked the 1000 page mark (1095 pages in the beta version), with 704 new and updated screenshots at last count, it was clearly time to do a full reorganization of the chapters, in an effort to make it easier to find the information you’re looking for. 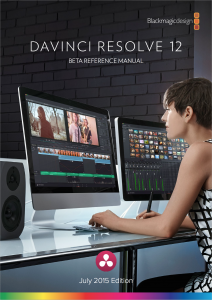 Consequently, the Resolve 12 User Manual is divided into 44 chapters, with many valuable topics now appearing within their very own chapter for the first time. Check out the table of contents on pages 3-19 and you’ll see what I mean. So, you ask, where do I start if I’m looking for what’s new? Chapter 2, “Logging In and The Project Manager” will give you some new insights into how and why multi-user login screen is now optional for new installations, and how upgrading Resolve will work on current installations. 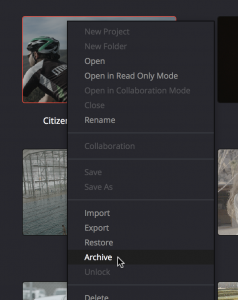 There’s also updated information on new things you can do using Dynamic Project Switching (it’s now possible to copy/paste clips and timelines among different projects, and Dynamic Project Switching makes this faster), and it covers the new Archive feature, which is great for putting projects with media into long-term storage, or archiving projects to make it easier to hand them off to other facilities. Chapter 5, “Improving Performance, Proxies, and the Render Cache,” is required reading. This chapter consolidates everything you can do to make Resolve run faster, which now includes the all-new ability to use “Optimized Media” (an updated spin on the old Pre-Rendered proxies mechanism Resolve had before) to work faster by turning processor-intensive media formats into faster-to-work-with clips using a format and proxy size of your choosing. Once you’ve optimized media, you can switch back and forth between the optimized and original media without needing to reconform or relink—it’s all managed by Resolve. Additionally, optimized media works with the real-time proxy command (which now lets you choose from Half and Quarter proxies), the Smart cache, and all of Resolve’s other features for improving performance, so this is a chapter worth understanding in its entirety if you want to get the most performance out of Resolve 12. 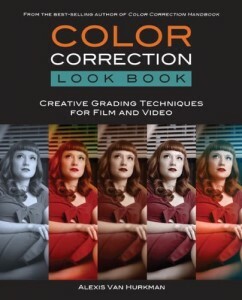 Chapter 6, “Data Levels, Color Management, and ACES” covers the brand new DaVinci Resolve Color Management, so head next to page 154 to learn all about how you can use Resolve Color Management (RCM) to deal with the varied color spaces of multiple media formats and log-encoded media without needing to use LUTs. Whether you’re a colorist, a finishing editor, or a creative editor, this new way of managing color just might speed you up. Chapter 8, “Adding and Organizing Media,” has the new section on page 179 covering “Creating and Using Smart Bins,” which is Resolve’s way of letting you use multi-criteria searches employing clip metadata to automatically pull together all clips sharing a particular set of metadata. It’s a really sophisticated implementation that allows you to search for all of some criteria but any of other criteria, enabling you to build really flexible searches. Chapter 9, “Working With Media,” starts out with information on the new Display Name column of the Media Pool, that lets you create more human-readable clip names that will be displayed in the Timeline. 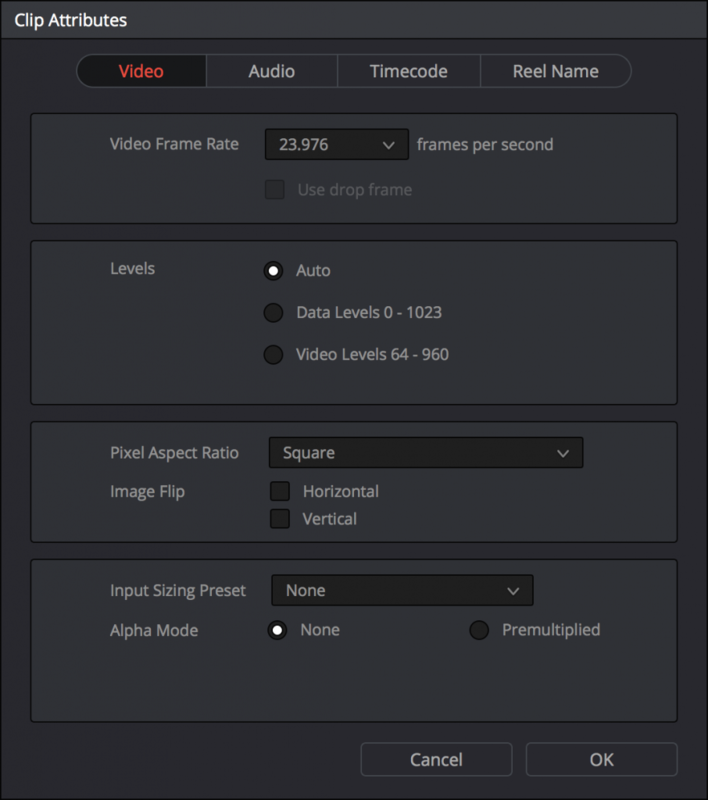 Chapter 9 also includes information on Resolve’s new “Auto-Sync Audio Based On Waveform” commands, which do waveform matching to sync dual-source audio with video recordings that have matching camera audio recorded. Additionally, the section on Changing Clip Attributes has been updated with much more information on how you can use the Clip Attributes window to tailor the clips in your project to suit your needs. 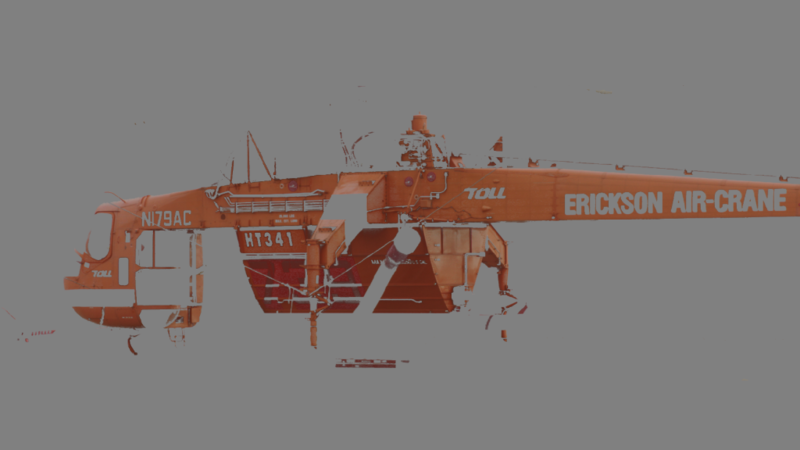 One of Resolve’s most powerful new tools is the ability to simply and easily relink media. 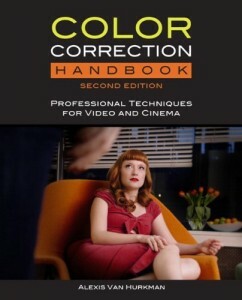 This feature is explained succinctly on page 201, but it’s explained much more fully in Chapter 22, “Importing Projects and Relinking Media.” In particular, page 490, “How DaVinci Resolve Conforms Clips,” and page 529, “Manually Conforming and Relinking Media,” have been extensively rewritten to explain the difference between “Relinking” and “Conforming” (a new distinction I make to explain how Resolve works with media more clearly), and discusses the numerous methods Resolve 12 employs to manage the relationship between clips in the Media Pool and media files on disk (linking), versus the relationship between clips in a Timeline and clips in the Media Pool (conforming). If you want to understand what’s happening under the hood, this is an important chapter for you to read. Of course, the vastly improved editing environment is one of the big new aspects of this release. Multicam editing, superior audio playback performance, better JKL responsiveness, expanded multi-selection trim capabilities, better dynamic trimming, media management tools, and hugely increased audio capabilities including audio filter support for both clips and tracks, track level and filter keyframing, mixer automation recording, and ProTools export make Resolve 12 into a great NLE with the tightest grading integration in the industry. The chapters that encompass Resolve’s editing capabilities range from Chapter 13, “Using the Edit Page, through Chapter 21, Media Management. That’s nine chapters of editing information, but here are the highlights. Chapter 15, “Working in the Timeline,” covers Resolve’s new re-syncing contextual menu commands for automatically dealing with audio and video items that have gone out of sync. 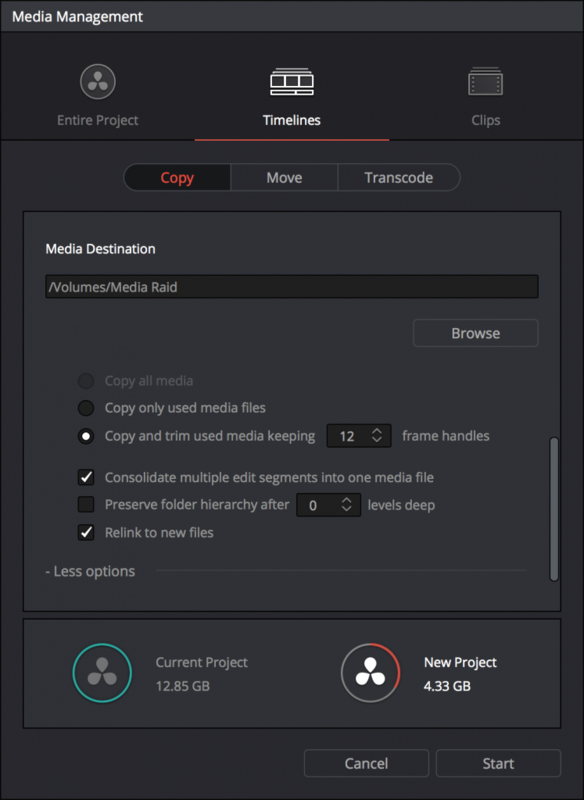 Chapter 16, “Multicam Editing, Take Selectors, Compound Clips, and Nested Timelines” cover all of Resolve’s multi-clip editing capabilities, headlining with version 12’s new Multicam editing tools, which are comprehensive and incredible. This chapter also covers how you can nest one timeline inside of another, which is yet one more new feature available in version 12. Chapter 17, “Trimming,” has expanded and rewritten this part of the manual to cover all of the newest trimming capabilities that Resolve offers, specifically the ability to make multiple selections on the same track to simultaneously ripple, roll, slip, and now even slide multiple clips or edits at once. This includes making selections to do asymmetric trims on the same track, which opens up some really useful new shortcuts when you’re hammering a sequence into shape. This chapter also covers the new Dynamic Trimming mode accessed using the “W” keyboard shortcut, which lets you use all of the JKL transport commands to trim whatever clips you have selected, in real time, with audio playback and the ability to choose which edit point you’re monitoring when you’ve selected multiple objects. Chapter 18, “Transitions,” covers the new transition curve you can use to customize transition timing, as well as the all new “Smooth Cut” transition that you can use to make small jump cuts, that result from removing unwanted verbalisms and pauses in interviews, disappear. Chapter 19, “Edit Page Effects,” shows you how to use Resolve’s new motion path keyframing with easing controls right in the Edit Page, on page 432. Chapter 20, “Working With Audio,” has several new sections, including one at the beginning of the chapter covering Resolve’s new support for AAC, MP3, and AIF audio formats at sample rates up to 192 kHz. A revised section covers how assigning audio channels in the Media Pool affects your ability to edit multi-channel audio, and is required reading. Then, three new sections at the end cover how you can now record clip and track level automation in real time using the mixer, how to expose and keyframe using the new Track level overlay, how you can apply AudioUnit (on OS X) or VST (on OS X or Windows) audio filters to clips right in Resolve, and how you can export to ProTools when you decide it’s time to hand off your audio postproduction to a professional. Chapter 21, “Media Management,” covers the new Media Management commands in version 12, which let you move, copy, or transcode the media associated with clips in the Media Pool, or within specific timelines, with the ability to automatically relink your project’s timelines to the newly managed media you’ve put in another location. If you’re a colorist, or an editor who does a lot of color, Resolve 12 has much more for you to love. Chapter 24, “Using the Color Page,” covers the new Smart Filter capabilities, that let you create your very own multi-criteria thumbnail timeline filters for filtering and sorting the clips you’re grading using any combination of metadata available from the Metadata Editor. Chapter 25, “Color Page Basics,” describes the new “Shot Match” command that lets you automatically grade multiple selected clips to match one another, as a prelude to grading a scene. Chapter 26, “Curves,” is a dedicated chapter that contains all new information on using Resolve’s new unified Custom Curve UI, that you’re going to love. Moving on, Chapter 27, “Secondary Grading Controls,” has been expanded to include the new 3D Keyer mode of the Qualifier palette, which is a brand-new high-quality keyer focused on letting you work faster, and giving you more specific results right off the bat. In conjunction with the new Matte Finesse controls “Clean Black” and “Clean White,” (page 696) which let you remove speckles and holes from the background and foreground of a Key matte really easily, Resolve 12 makes it even easier to create great secondary corrections. Later in the chapter, page 722 covers the new Perspective 3D option of the tracker, which makes the tracking of windows to follow features in a scene even more powerful and accurate. 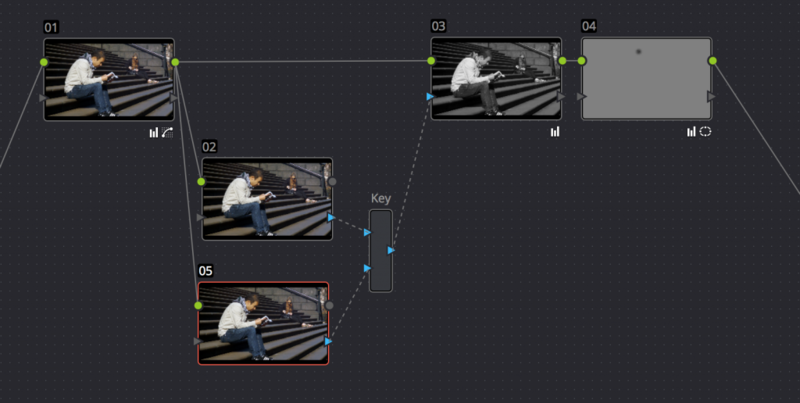 Lastly, page 734 covers the new automatic keyframing for rotoscoping capabilities built into Resolve’s tracker palette. 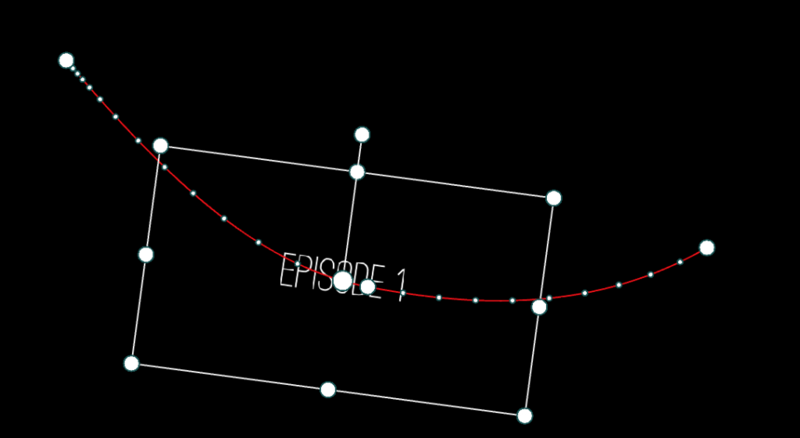 Once you try keyframing windows this new way, you’ll never want to use the Keyframe Editor to do this again. Chapter 28, ” The Gallery and Grade Management,” has sections on version 12’s new ability to let you ripple adjustments made to one node to multiple selected clips (or to all clips in a group), as well as appending a new node to multiple selected clips. This is a great new capability for situations where you don’t want to have to make a group just to ripple a change to a selection of clips, and is the kind of feature that will enable you to grade faster then before. Chapter 30, “Working in the Node Editor,” covers several new updates to node editing that you’ll want to read about. First, the Parallel, Layer, and Key Mixer nodes have been updated with a new look, making your node tree easier to read. Second, the Key Mixer node (page 886) has been made much easier to work with as all node input controls are now simultaneously exposed in the Key Palette. Third, you can now select multiple nodes and turn them into a single Compound node, which contains multiple nodes of adjustment while only exposing a single node in the Node Editor. You can open compound nodes to edit the contents, and even grade compound nodes to “trim” the contents, all of which is covered on page 865. Last, but not least, there’s a new Node Editor contextual command, “Cleanup Node Graph,” which lets you auto-organize messy node graphs with ease. 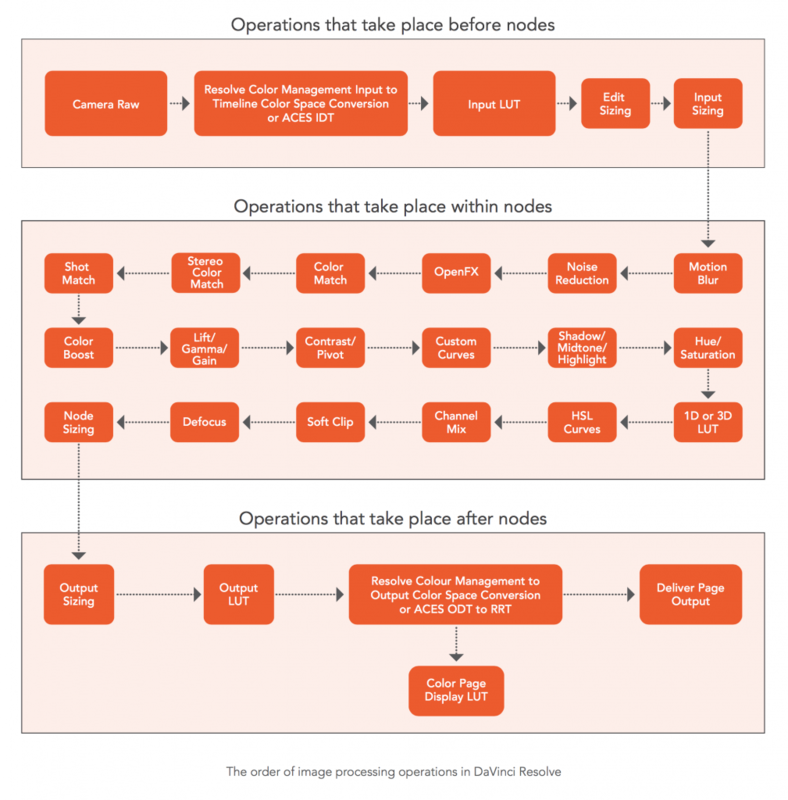 Furthermore, if you’re a pro colorist and you’ve always wished you knew what Resolve’s order of operations was under the hood, page 869 has a thorough explanation of which operations happen prior to the node editor, which operations happen within each node, and which operations take place after the node operator. 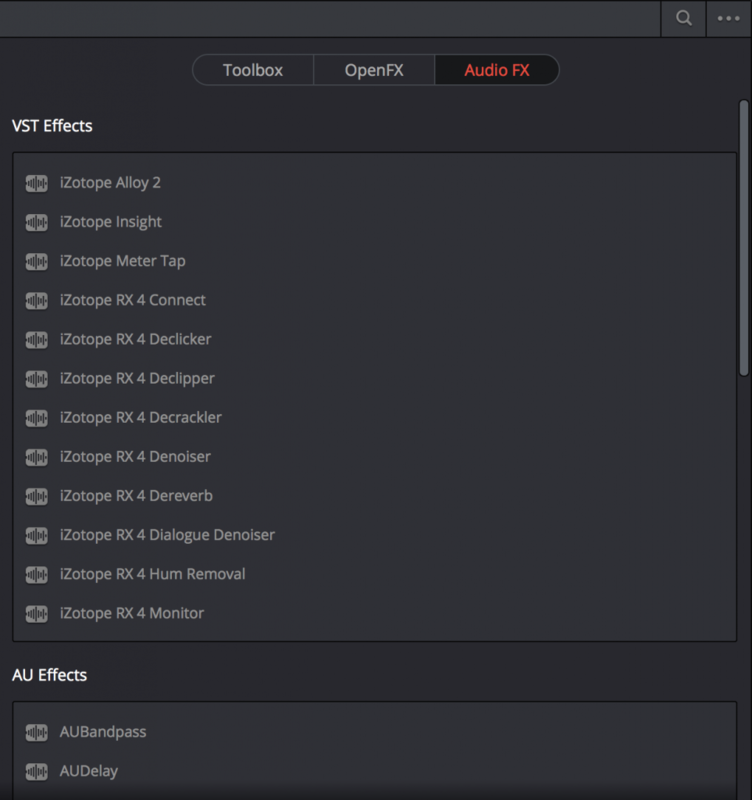 Chapter 35, “Rendering Media,” has been updated to reflect the new ProTools Export easy setup, as well as the new reorganization of the Render Settings list to make it faster then ever for you to customize your renders to output what you need. Additionally, while not new, the section in Chapter 38, “Exporting Timelines to Other Applications,” has an expanded section on Exporting to ALE for anyone within a Media Composer workflow. Obviously, there’s much, much more to this release, but these are the highlights that should get you started. (update) Even now, I’m recording (update) I’ve finished recording (update) As I’d mentioned at the top of this article, Ripple Training has released my “New Features in Resolve 12” video tutorials, which runs through all of these features and more with a fine-tooth comb, showing you how all the new toys work. I’m hoping it comes out within a couple of weeks. 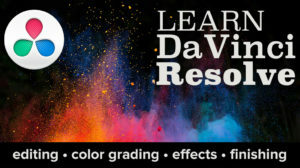 Also, check out Ripple Training’s YouTube channel for my ongoing “Resolve In A Rush” free Resolve tip series, which will soon include new tips for DaVinci Resolve 12. I’m not sure if this is the right place to ask but I’d really like to see Resolve offer multiple play heads like Lustre (2) and Nucoda (4). I don’t want to use this feature to see a split screen but rather to be able to jump to other shots full frame in the timeline for comparison-like a still store but I can choose a different frame. I asked Peter to add this feature at a post NAB event in 2014 but he didn’t follow through as far as I know. I did get your training on Resolve 12 from Ripple training and I’m making my way through it. I did have a question, if I may? Optimizing the media, which I have set to Prores 422 in the General Tab, and when I right-clip the clip and optimize, it does it’s thing, however, in the Optimized tab, it will show Original Res., but the Codec is still an H.264 file, and not Prores 422? What am I doing wrong? The only way I’ve been able to work with Prores within Resolve 12 is to transcode it outside the application. Your help is greatly appreciated! I believer the Codec column is still displaying the codec of the original media, not of the transcoded clip. However, I don’t know for sure, I need to check on this. Alexis, Please, where can I find the link to download the Davinci Resolve User Manual, you wrote?